Looking for a used Volkswagen for sale priced under $15k near Vienna? 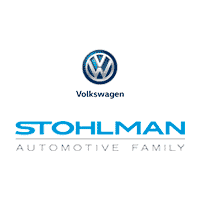 With over 80 used cars under $15k in stock, Stohlman Volkswagen has you covered. Choose from popular VW models like a pre-owned Volkswagen Passat 1.8T or a capable used VW Tiguan SUV. With so many pre-owned vehicles under $15k to choose from, we’re confident you’ll find one that suits your needs and your budget. For more wallet-friendly deals you can also check out our pre-owned vehicle specials. Browse our used VW cars online to discover the perfect vehicle for you. Now that you’ve browsed our inventory of used cars priced under $15k, it’s time to take one for a test drive. Contact us today to schedule your visit to our showroom in Tysons Corner near Washington D.C.